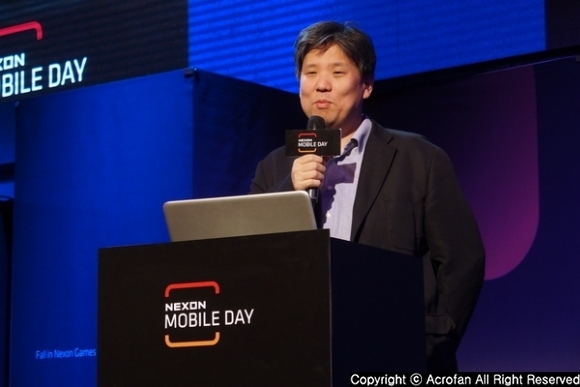 In the morning of October 10, ‘Nexon Mobile Day : Fall in Nexon Games’ conference was held at Nexon Arena in Seocho-gu, Seoul. 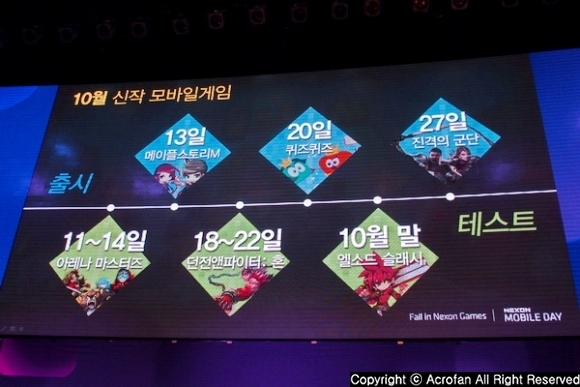 The event was prepared to announce Nexon’s fall mobile game lineup, and officials from Nexon, Jung Sang-won vice president and Noh Jung-hwan head of mobile business department, attended the event. 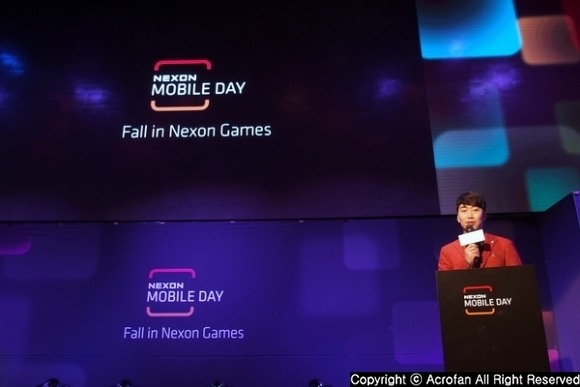 ▲ ‘Nexon Mobile Day : Fall in Nexon Games’ conference is opened. ▲ Three releases and four testing games are introduced. At the event, among Nexon’s self-developed or published new mobile games, the games that will be officially released in October, or the games that need testing are introduced. 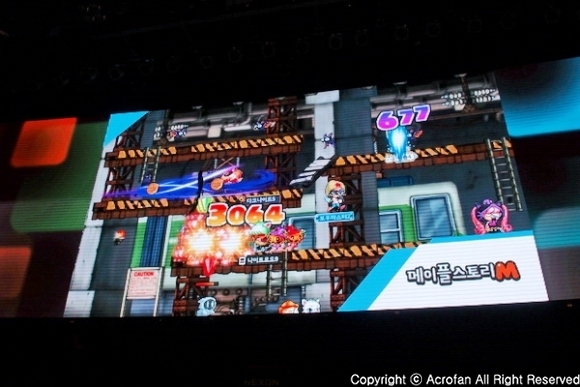 The first game to be introduced is ‘MapleStory M’ which is Nexon’s collaboration with NSC. It is a 2D side scrolling MMORPG that put the worldview of online game ‘MapleStory’ in mobile platform. ‘MapleStory M’ is developed to be easily enjoyed by new users who first experience ‘MapleStory,’ as well as the users who had enjoyed ‘MapleStory’ with PC, so synergy effect through ‘the unity of experience’ is expected from all of PC and mobile users. Moreover, interesting elements and play experience of the online game ‘MapleStory,’ such as cute characters, graphic and the game’s stage ‘Maple World,’ are applied the same. The exclusive contents, such as ‘Elite Dungeon’ and ‘Mini Dungeon,’ optimized to the mobile environment are presented. On October 13, Nexon will release ‘MapleStory M’ in Android and iOS platform, and it will be presented to the entire world sequentially. ▲ ‘MapleStory M’ is developed to be easily enjoyed by new users as well as the current users. The second game to be introduced is ‘QuizQuiz,’ a global mobile quiz game developed by Monster Planet. This game is played by challenging the opponent with solving quizzes of various topics such as ‘Science,’ ‘Liberal’ and ‘Cultural Art,’ through three modes, and it is possible to play with friends all over the world through interlock of social media account. With simple control and popular contents, anyone can easily enjoy and have fun collecting 33 various characters by solving quizzes. 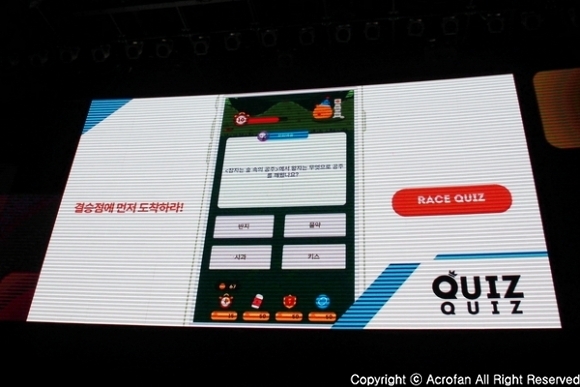 On October 20, Nexon will release ‘QuizQuiz’ in Android and iOS platform. ▲ In ‘QuizQuiz,’ users can compete with users all over the world by solving various topics of quizzes. The third game to be introduced is ‘Marching Legions,’ developed by Cocoon Games. ‘Marching Legions’ is a real-time strategic simulation game that occupies major cities based on the actual world map by cooperating with users all around the world. Users can grow the city through constructing buildings, training soldiers, collecting resources, and etc. As well as the existing heroes and the heroes in myth, various characteristics and synastry for each unit exist. So, users can play strategic battle in real-time by making maximum 5 corps, led by a hero, go into the battle. Moreover, users can attack, defend and collect resources at the same time, and establish strategy by sharing real-time PvP battle video with strong allies. On October 27, Nexon will release ‘Marching Legions’ in Android and iOS platform. ▲ ‘Marching Legions’ is a strategic simulation game that occupies major cities based on the actual world map. 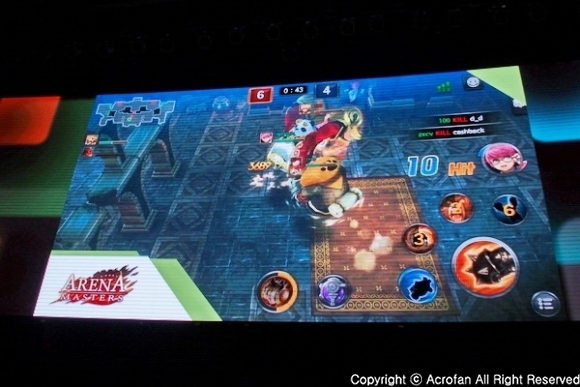 The fourth game to be introduced is ‘Arena Masters’ developed by Meerkat Games. 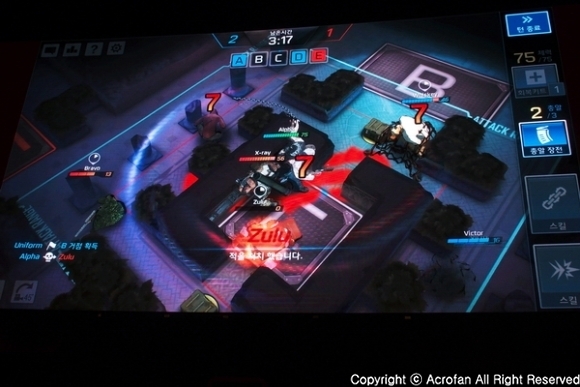 ‘Arena Masters’ is a mobile battle action game that can be enjoyed with simple controls. 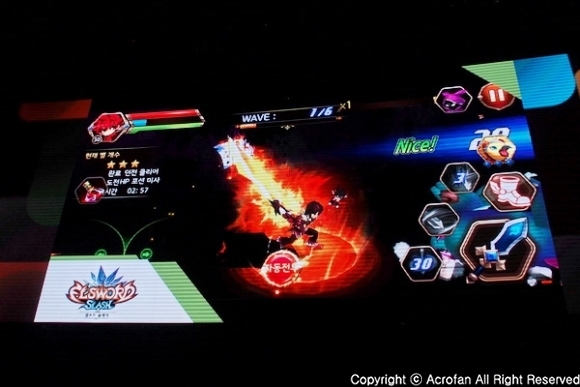 It is possible to play exciting action play by strategically using total 13 characters such as ‘Windy’ and ‘Beobear.’ Including PvP modes that maximum 6 users can play in real time such as ‘dual arena’ and ‘team death match,’ the game contains a variety of contents such as missions, day of the dungeon, characters and equipment development. ‘Arena Masters’ will be released in Android and iOS platform in the first quarter of 2017, and from October 11 to 14, Nexon will progress testing. ▲ ‘Arena Masters’ is a battle action game with real-time PvP of maximum 6 users. 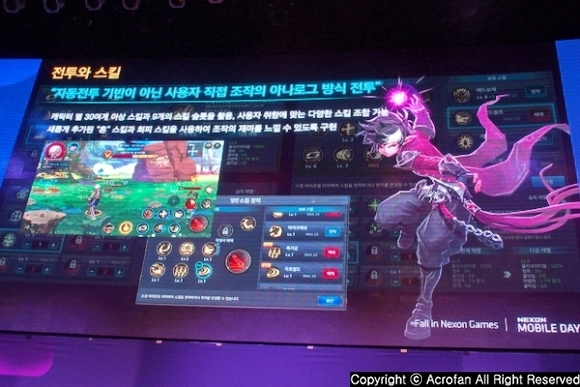 The fifth game to be introduced is ‘Dungeon & Fighter: Spirit,’ being developed by Neople. ‘Dungeon & Fighter: Spirit’ is a mobile action RPG using IP of the online game ‘Dungeon & Fighter.’ The characters in ‘Dungeon & Fighter’ are newly born into 3D graphic. Including various skills used in the original work and new skills optimized to mobile platform, ‘Dungeon & Fighter: Spirit’ implements about 100 skills and displays skill combo actions. It offers fun of collecting, strengthening and evolving more than 400 various weapons and equipment. Moreover, it offers pleasure of growing a character more powerful with monster cards, emblems, avatars, titles, and etc. 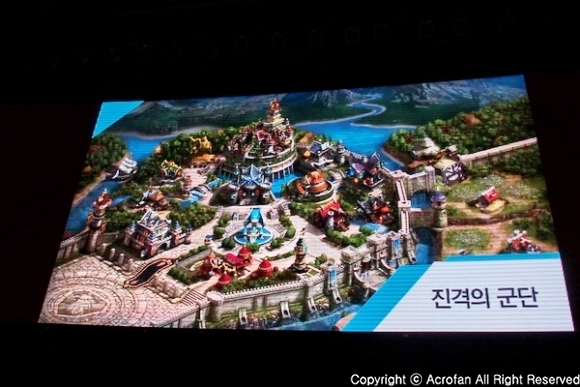 It also presents rich contents such as story dungeons, where more than 200 monsters and unique boss monsters of the online game ‘Dungeon & Fighter’ appear, tower of the death, raid, infinite altar, and etc. ‘Dungeon & Fighter: Spirit’ is now being developed with aiming at the release in 2016 in Android and iOS platform. From October 18 to 22, Nexon will progress testing. ▲ ‘Dungeon & Fighter: Spirit’ newly created fun of the original work into 3D graphic. The sixth game to be introduced is ‘Elsword Slash,’ being developed by Kunlun. ‘Elsword Slash’ is a mobile side-scrolling action RPG that optimized play of the online game ‘Elsword’ to mobile environment. It is featured by bringing the original work’s world view and various contents, including more than 400 avatars for each character, skill development, real-time party, PvP system and guild cooperation, into the mobile. In 2016 January, this game was released with the name of ‘艾爾戰記’ in China, and, in May, it was released with the name of ‘Elsword: Evolution’ in global market. It recorded no.9 for the best sales of Chinese Apple Appstore, and no.2 for the best sales of Taiwan Google Playstore. ‘Elsword Slash’ will be released in Android and iOS platform in 2017, and Nexon will progress testing for Android users in late October. ▲ Developed from Kunlun, ‘Elsword Slash’ is a game of hit in service in China. 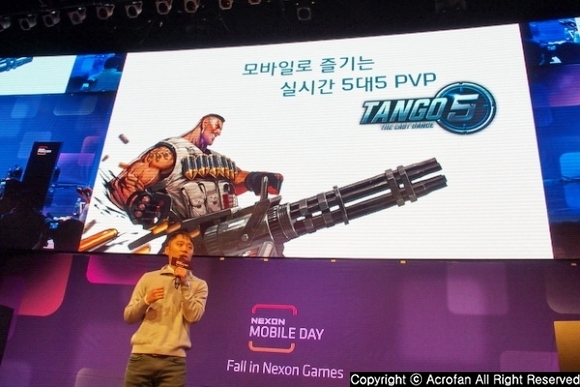 Meanwhile, at the event, the new mobile game ‘Tango Five: The Last Dance’ was newly introduced. Being developed from Thingsoft, ‘Tango Five: The Last Dance’ is a real-time 5:5 team battle strategic shooting game that is featured by offering simple control with ‘Grid’-based movement and using ‘dynamic cool-down’ system, which temporarily restricts the character’s attack time. Users can participate in the battle after selecting one of 12 characters with different characteristics and skills. ‘Tango Five: The Last Dance’ is being developed with aiming at the release in 2017 in Android and iOS platform. From October 27 to 30, Nexon will progress testing. ▲ Being developed from Thingsoft, ‘Tango Five: The Last Dance’ is newly introduced. ▲ It is a team battle game based on real-time strategic shooting.